Learning how to create balloon animals takes hours and hours of practice. Do you really want to spend the day of your child’s party struggling to make an inflatable sword? Leave it to the professionals. 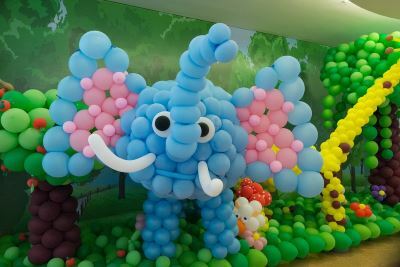 KidsParties.Party lists talented balloon twisters who can create animals, shapes and other forms of balloon art. We’ve also found inflatable artists in Rockland County, New York who can produce balloon décor, such as columns, arches and centerpieces. Want to be blown away by some balloon animal facts? Scroll to the bottom of the page.